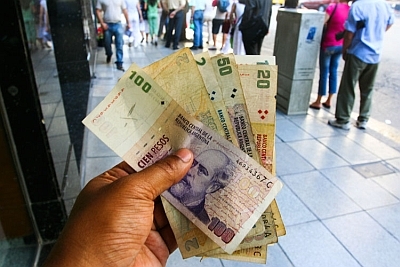 Argentine Peso Plummets: What Does This Mean? It’s being reported this morning that Argentina, already in the midst of a severe economic turndown as a result of weakening commodity prices and international market conditions, is seizing $29 billion in pension assets, this after the country announced a few days ago that it would be devaluing its currency from its current rate of $3.20 pesos per dollar to $3.80. So what does this mean? As a historical note, the last time the country seized pension assets was shortly before the disastrous 2001 financial collapse. This is also certain to cause the peso to slide below the target rate of $3.80, which means real trouble and higher inflation for Argentinians. Of course, not to belittle the plight of the country, but this also means even more favorable exchange rates for foreign visitors, especially for those of us in North America and Europe who were already enjoying lodging and entertainment costs 1/3 of what they’d be elsewhere. For example, last November when I was in Buenos Aires, a high-end meal for two with wine came out to about US$40 and a hostel cost around US$5. So, if anything, one way to help out Argentina is to boost its tourism industry by heading there this year and discovering all that the country has to offer and to hope for a speedy recovery. That’s a lot easier than trying to single-handedly prop up the price of soybean and wheat.